Carder Farm LLC is committed to providing our customers with the freshest, locally grown and harvested produce at reasonable prices. Our food is not only fresher and tastes better, but by buying locally you are supporting the local economy and reducing the amount of energy used in transportation. We invite you to visit us and discover a new way to buy produce. Carder Farm LLC is a small-acreage family-business farm located in the South-East corner of Fremont. We have blueberries in season but no pick your own yet. 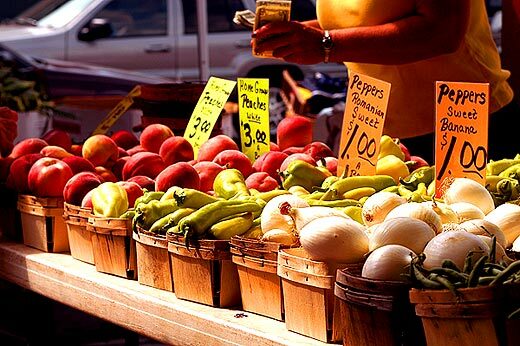 We also offer a variety of vegetables normally found at fresh vegetable stands in New Hampshire. Carder Farm LLC has become a local center for fresh vegetables and fruit grown on our farm and other local area farms. Find out more about our produce! Carder Farm LLC is always on the look-out for small, local farmers who share our vision of providing fresh, high-quality produce. We want to provide our customers with products that we can't or don't produce on our small acreage.